This gluten-free vanilla banana protein superfood baked oatmeal recipe post is sponsored by Bob’s Red Mill. Thanks for supporting our sponsors. When it comes to cooking or baking, my idea of a good recipe is one that has minimal ingredients. I don’t like to spend too much time in the kitchen, and for some reason, I feel like every additional ingredient makes a dish seem more time-consuming, complicated and difficult. As we’ve discussed many times before, I’m more of an assembler, rather than a master chef. That’s why you will probably be amazed to see how many ingredients are in today’s recipe. And let me tell you, it was intentional. I stood in my pantry and thought, wouldn’t it be cool if I could put together all of my favorite, healthy, nutrient-filled items and baked them into one super-powerful and delicious breakfast so I could get them all in one shot? So I did. And well, it didn’t work on the first try. But on the second try with some tweaks, it worked. Like really worked. I’m so excited to share this amazing breakfast recipe with you, and I hope you will try it and make it your own. It goes without saying — but I’ll say it — you can eat this warm or cold, have it for breakfast, lunch or even a snack. Versatility is key! Not to mention, it’s a make-ahead-meal-prepper’s dream, so get it done on Sunday and reap the benefits all week long. Right? The stars of the show, of course, are the Bob’s Red Mill products. I’ve been a big fan of Bob’s Red Mill for a long time, and you can even check out this super creamiest warm oatmeal bowl I was eating all winter long, featuring Bob’s Red Mill organic gluten-free rolled oats — a dish good enough to make me cook my oats instead of eating them cold like I had for many years. Well, those same gluten-free oats are in this dish for sure. And so are a few more Bob’s Red Mill items and other ingredients I always have on hand. There’s just something about these oats … they are so thick and hearty and far superior to other oats on the market. 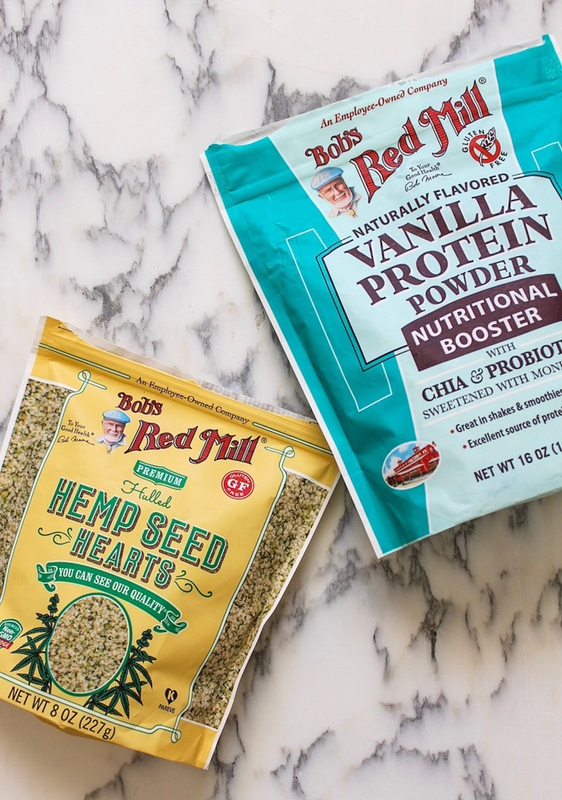 In addition to the oats, we’ve got the Bob’s Red Mill vanilla protein powder nutritional booster with chia and probiotics, which is gluten-free, vegan and sweetened with monk fruit. 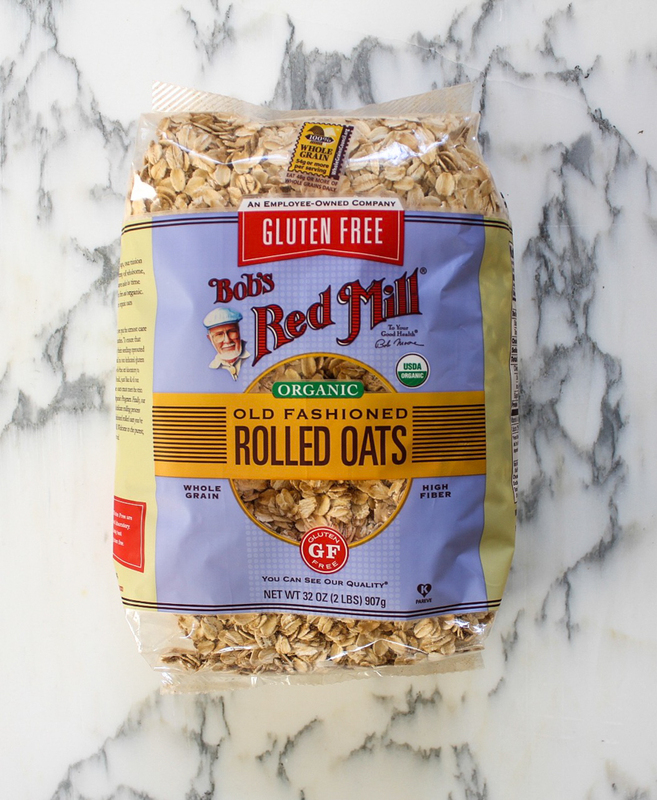 Then there’s the Bob’s Red Mill hulled hemp seed hearts, which are non-GMO, also gluten-free and high in protein and have valuable omega-3s and are most definitely part of the “superfood” element to this breakfast dish. Next up, we have the double-acting baking powder, which has no aluminum and is smooth as can be. And the premium sea salt, because every good recipe calls for a little salt, and I like to use sea salt rather than regular table salt no matter what I’m eating. 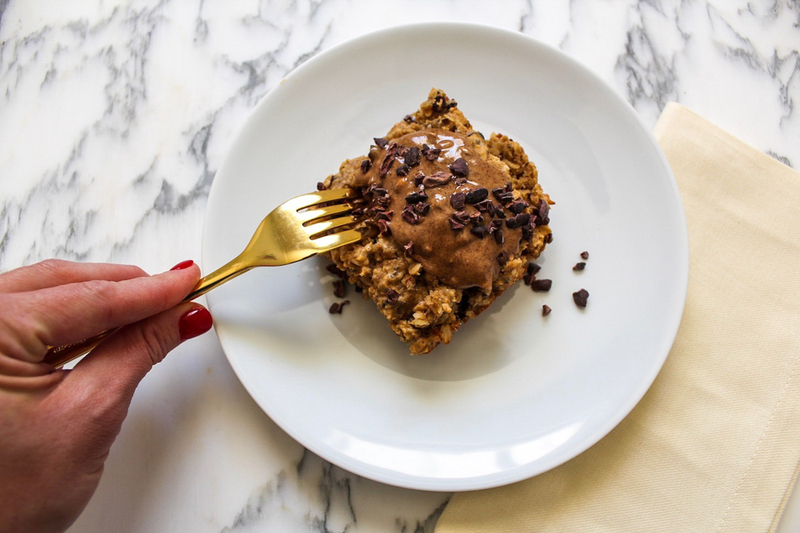 From my pantry, I also added in cacao nibs, because these powerhouses have tons of antioxidants and fiber and also fit into the “superfood” category (and if you’re not familiar, they are basically super dark chocolate and very good for you). And yes, it’s a lot, but you could probably swap out the hemp seeds for chia seeds or pumpkin seeds, use whatever type of nut butter you like, as well as whatever milk you like. I use the canned organic coconut milk from Trader Joe’s because it’s nice and thick, by the way. I also use pasture-raised eggs, which is always my preference. All you have to do is mix it all together, pop it into a greased baking pan (I used an 8 x 8 coated in coconut oil spray), and throw it in the oven. Voila! You’ve got breakfast for the whole week, or less, if you’re like me and go for a double serving each time. Side note: This recipe is tested, approved and enjoyed by Dave as well, so you know it’s not strange, because he doesn’t go for that. It’s thick. It’s got the right texture. It’s not too sweet. It’s not too tart. It’s just … exactly what you’d want to eat for the first meal of the day. 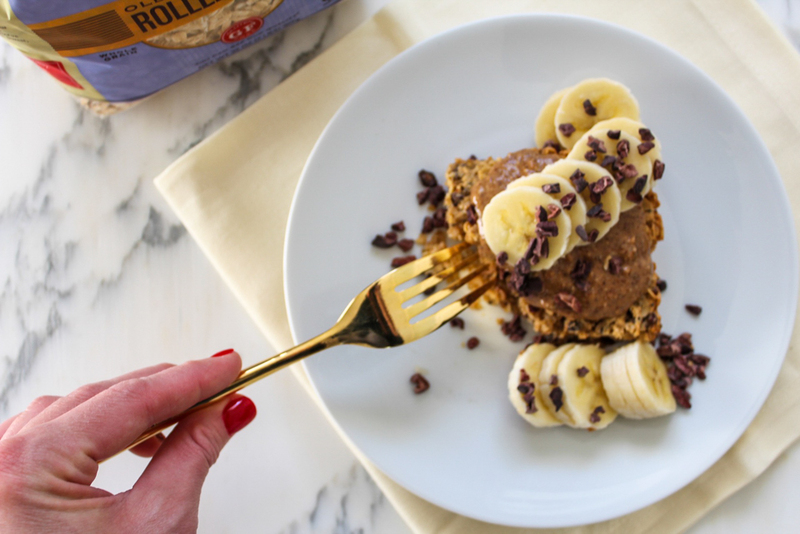 You can bet I’ll be having this for breakfast all week, warmed up and topped with some extra nut butter and another banana. Because I can’t start my day without either of those things, so why bother trying. Although I’ll probably always go with nut butter and banana, you can top the finished product with Greek yogurt, cottage cheese, blueberries, or even jam, you name it. You do you. I’m much more of a fan of looking at the ingredients of food rather than their calories or macros, because I don’t track. 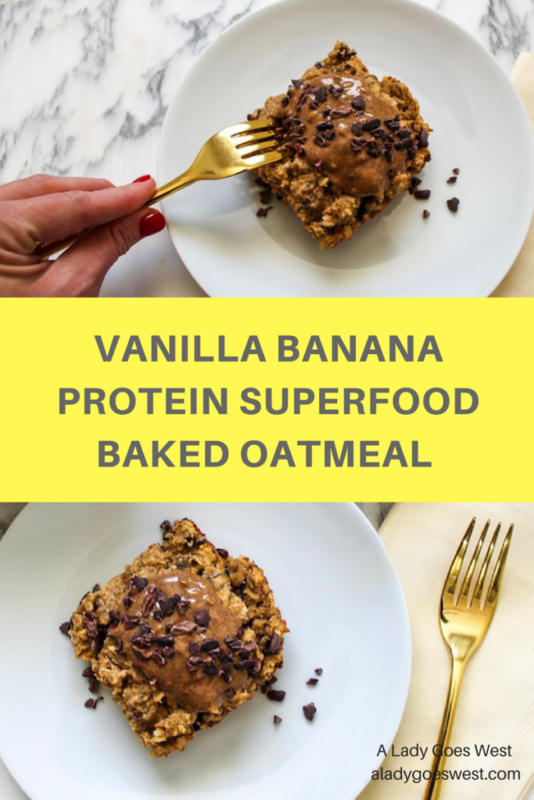 However, you could easily throw this vanilla banana protein superfood baked oatmeal into MyFitnessPal to get the exact details. What I can tell you is that there is protein, there is fat and there are carbs. 🙂 But it’s all the good stuff! Hope you have a great day, my friends! Let me know if you try it! Grease an 8 x 8 glass baking pan. Top with whatever you want and enjoy it. Put the rest in the fridge to eat later. Disclaimer: This post is sponsored by employee-owned Bob’s Red Mill. I received complimentary product and compensation, but all opinions are my own. Thanks for supporting the companies that support A Lady Goes West. P.S. Friends! Are you still going strong in our hydration challenge? 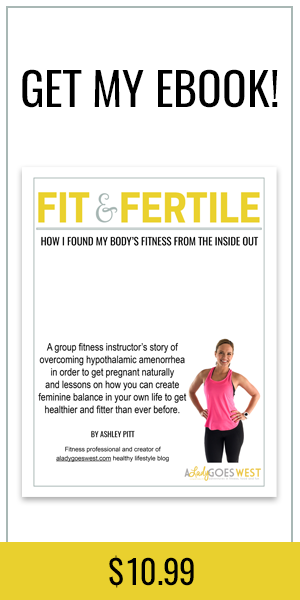 We’re into week two, and I hope you feel great! I sure do! Sticking to my goal was hardest over the weekend, but I did it! Drink up! 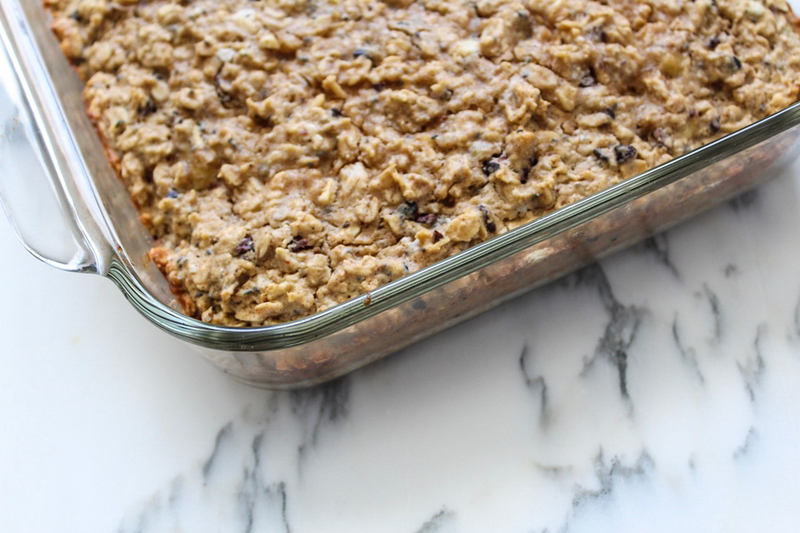 What would you top your baked oatmeal with? Oatmeal is one of my favorites and I’m a huge fan of eating it warm. I always top with at least some almond butter or a banana. 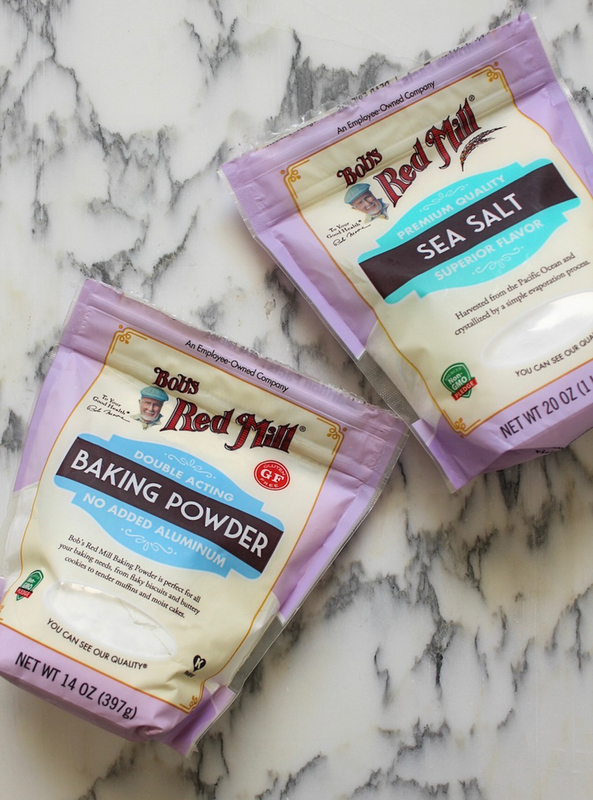 I didn’t know Bob’s Red Mill made baking powder, I need to find that! Happy Monday! Hi Patricia! Bob’s Red Mill has it all! 🙂 hehehhe! And yessss to all the almond butter and banana. There literally is not a combo in the world I love more. Happy Monday, babe! That looks incredibly delicious! I’m a fan of Bob’s Red Mill gluten-free oats as well. You’d like this one, Court, for sure! 🙂 Happy MONDAY, my friend! I hope you woke up refreshed after your self-care weekend. This looks so good! 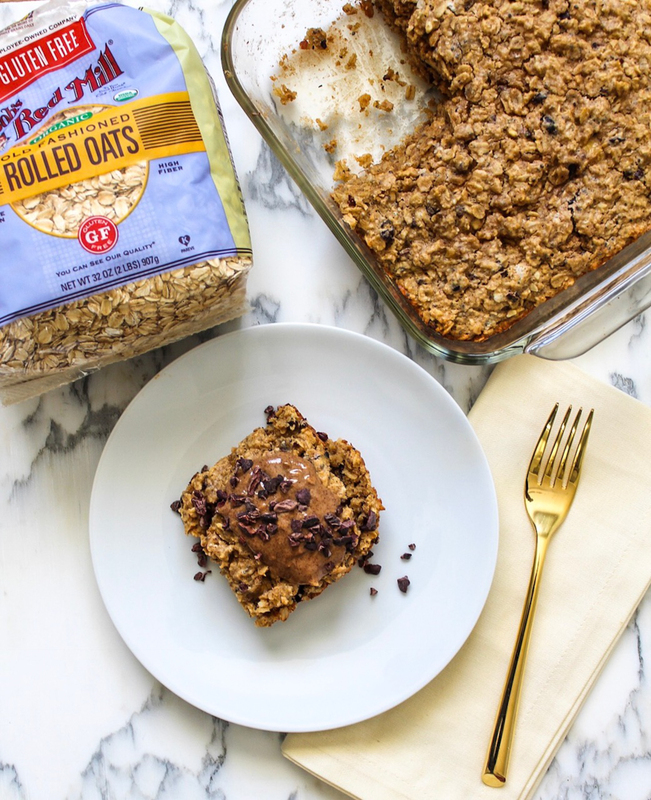 I love makeahead breakfasts and actually have a bag of Bob’s Red Mill oats in the pantry. I’ve always been an eggs for breakfast gal but since baby came along I’m randomly alllll about the oatmeal! 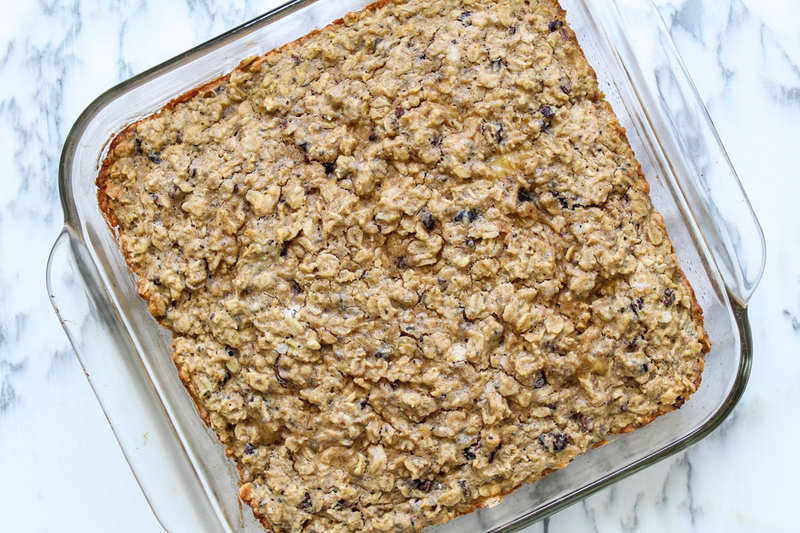 Last week I made a peach oatmeal bake and added a crumb topping… omg… mind blowing! It also had my friend’s Local honey from her beehive, so that was cool. I’ll definitely give this one a try. Thanks!! Oatmeal is GREAT for mommas! And adding a crumb topping sounds delish — you should try that on top of this recipe and let me know how it goes, so I can copy hehehe! And local honey? Nothing better! Have a great evening, Alie! Thanks for saying hi! 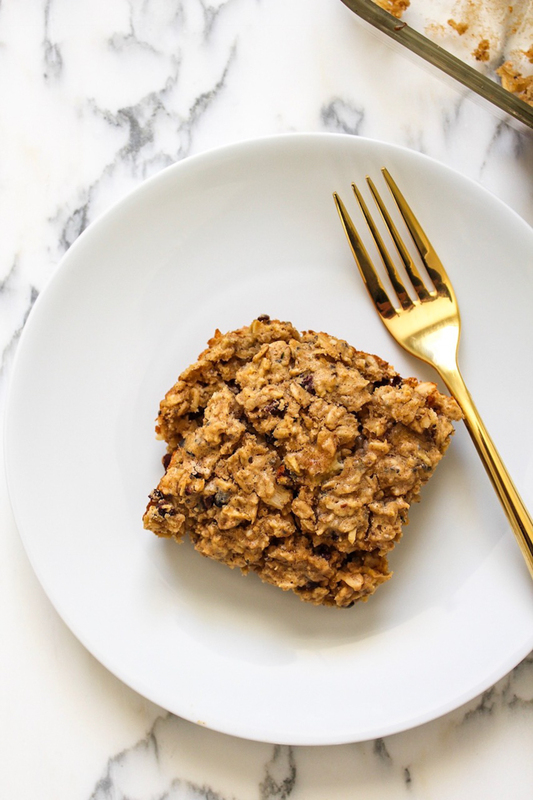 Looks delicious, I’m a huge fan of baked oatmeal!